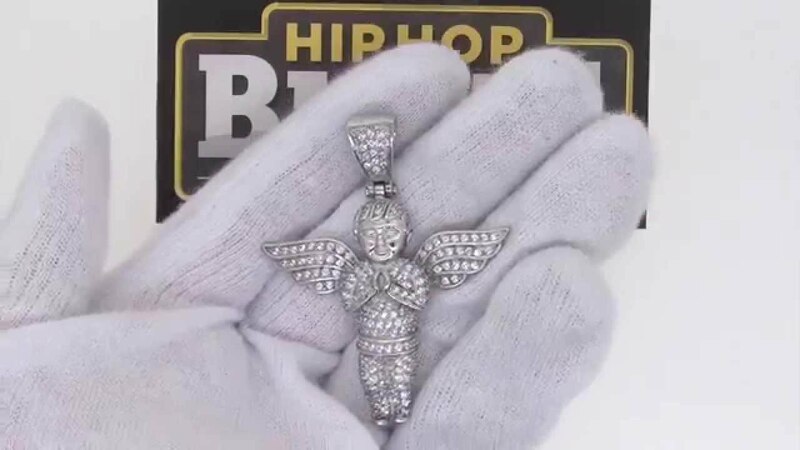 Bling bling fully iced out Cherub Angel Pendant. Totally iced out with the highest grade simulated diamond gives this Angel an amazing shine to it. All stones are micro pave hand set just like the way real diamonds are set. Crafted from 316L Stainless Steel so this piece will never fade or tarnish. Ice yourself out with real quality hip hop jewelry that is built to last.